Reduce string algae in your pond or fountain with TotalPond's Algaecide for Ponds and Fountains. Available at The Home Depot. Reduce string algae in your pond or fountain with TotalPond's Algaecide for Ponds and Fountains. Simply add the recommended amount to your pond or fountain to control your algae problem. Fast-acting Algaecide restores the health of your pond by preventing green water and algae growth. A 16 oz. bottle treats up to 4,730 gallons of water. A 64 oz. bottle treats up to 18,920 gallons of water. 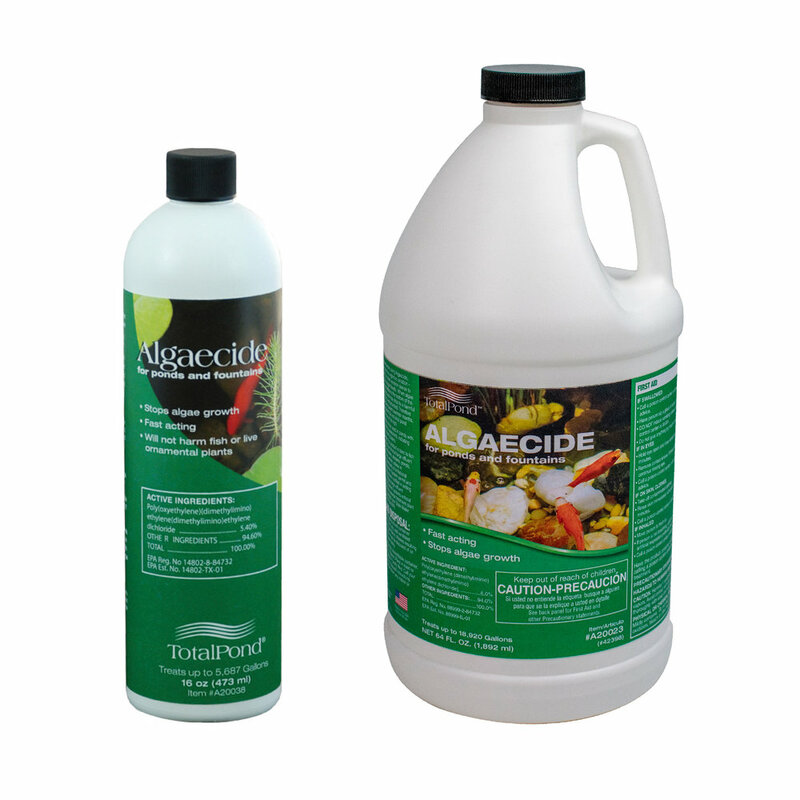 TotalPond Algaecide is EPA-registered and safe for fish and plants. Follow dosage instructions on the label carefully.